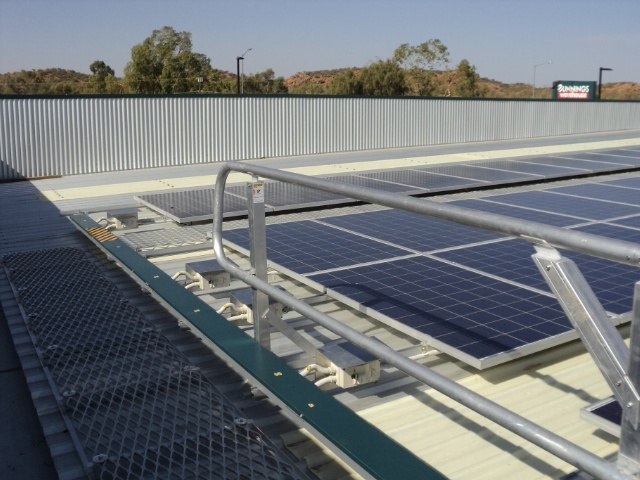 There’s no surprise that Alice Springs has a high penetration of solar power, which according to Territory Generation chief executive Tim Duignan amounts to 10.6MW, or around 40 per cent of average annual demand, the highest of any grid in Australia. 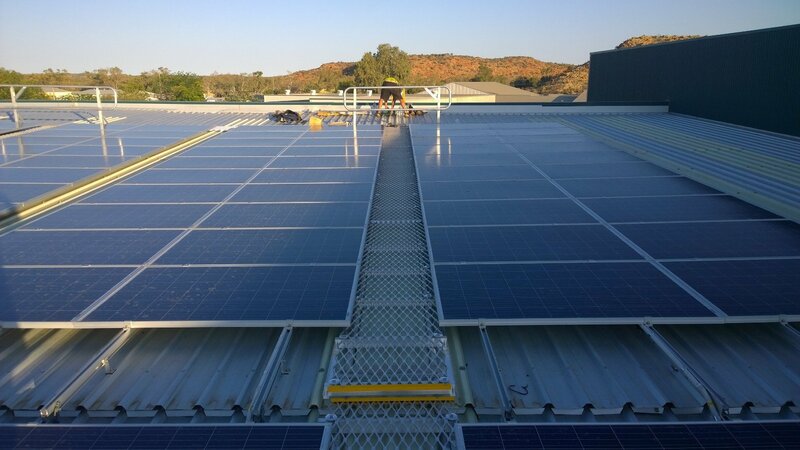 Recently, Bunnings Alice Springs decided to turn to harnessing the ‘Red Centres’ plentiful sunshine by installing a PV array on its roof. 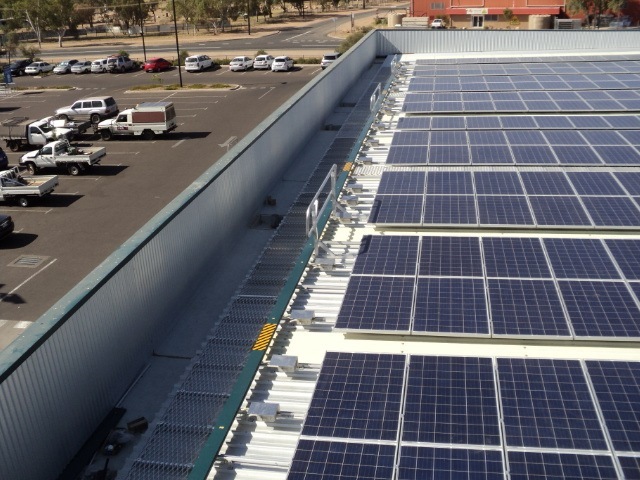 While some can rush into a solar installation without a second thought, Bunnings were quick to engage Workplace Access & Safety to ensure an adequate height safety access system would be installed. 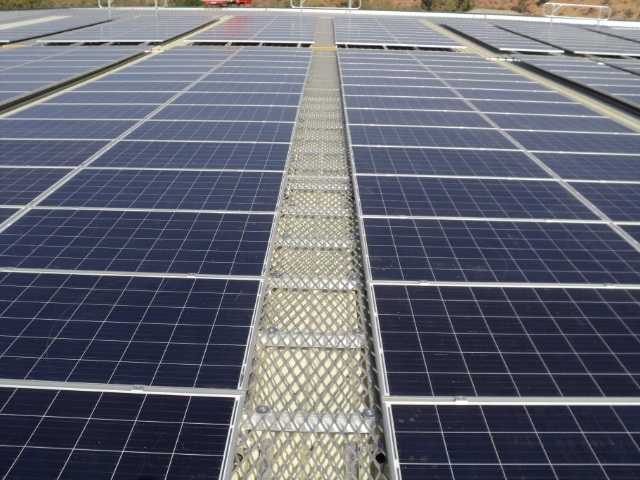 It’s often lost on property owners that PV arrays require access for maintenance and cleaning. 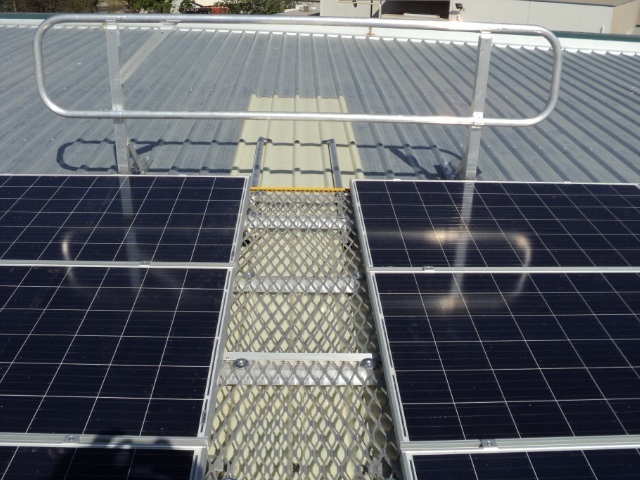 Solar installers rarely have the knowledge or expertise to identify the risks posed from both introducing new equipment to a facility without any fall prevention equipment and introducing new plant or equipment to an existing fall prevention system. Both scenarios guarantee new risks never foreseen will be introduced putting workers at risk. Workplace Access & Safety were able to design and install a simple system consisting of Defender Guardrail and Defender Walkway. The system allows workers to access the system and perform maintenance without the risks of falls.